• For Use With Ourpets Catty Whack Electronic Toy-The Game That Plays Hide and Go Seek With Your Cat! • It Screws On A Standard Hose End and Even Has A Handle and Finger Grip. • Interactive Catnip Fun With Your Favorite Furry Friend! • Fish Is 100% Filled With Premium Catnip! 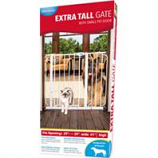 • Expands From 29 Inches To 50 Inches Wide. • Aquarium Filter and Pump Included. 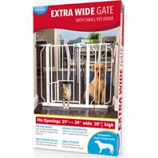 • All-Steel Construction Is Sturdy, Durable, Lead-Free, Non-Toxic and Chew-Proof. 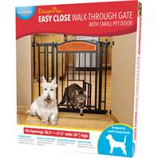 • Freestanding and Pressure Mount Is Two Capabilities In One Gate.